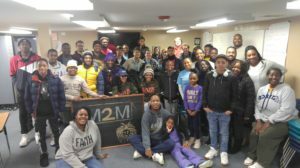 Community Youth Advance has been accepted into the Ready for Work Capacity Building Program presented by The Prince George’s County Council and Venture Philanthropy Partners (VPP), in partnership with Fair Chance DC. This 3-year cohort program is the result of the council’s expansion of its special partnership grant initiative designed to support nonprofit growth in Prince George’s County. The grant will provide Community Youth Advance with a Capacity Building Specialist who will support key strategic objectives. The application and interview were extremely detailed with a goal of long-term investment in the growth and sustainability of community-based youth organizations. Community Youth Advance is one of only 5 nonprofits in DC, MD and VA selected to take part in this cohort. Click HERE to read more about Prince George’s County Council’s investment in youth-serving organizations.